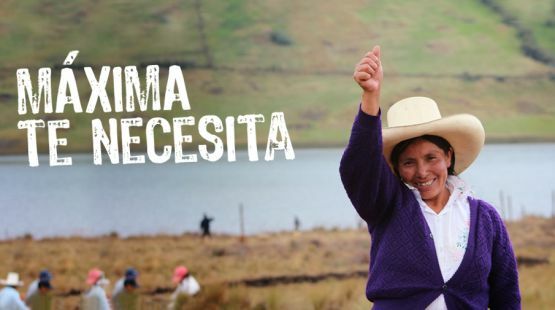 In Cajamarca, in the northern Peruvian Andes, where the headwaters of the rivers, the forests and páramos should be protected territories, the biggest mining company in South America, Yanacocha, is attempting to impose a megaproject that violates the rights of local people. For more than 10 years, Máxima Chaupe and her family have refused to sell their land to the mining company, and as a result they have been brutally attacked more than once. A judge has sentenced Máxima to a prison term of two years and eight months and a fine of 5,500 soles as reparations to the mining company for alleged land usurpation. Signatures are being collected to deliver a letter through the Red Latinoamericana de Mujeres (Latin American Women’s Network) to the Peruvian authorities.